Today marks the day we said our vows at ‘The Happiest Place on Earth’. 7 years later, my love for my husband and my love for all things Disney has not faded! I was quite shocked when my husband-to-be agreed to the whole idea of a Disney Fairy Tale Wedding, but I am so happy he did. 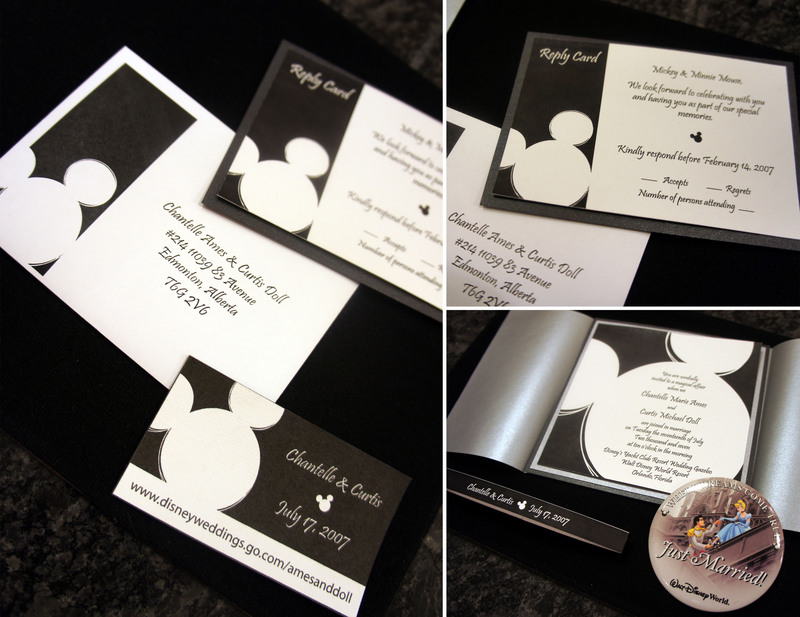 It was the perfect intimate venue and I was able to incorporate small touches of Mickey Mouse throughout. 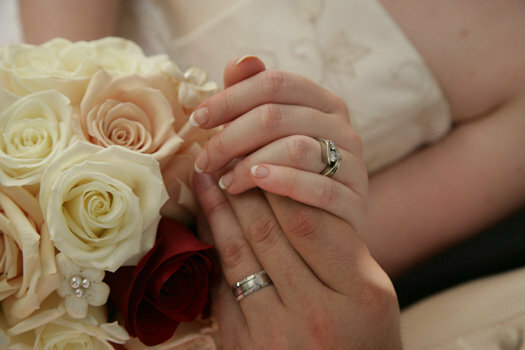 Can you spot the hidden mickey in my bouquet? 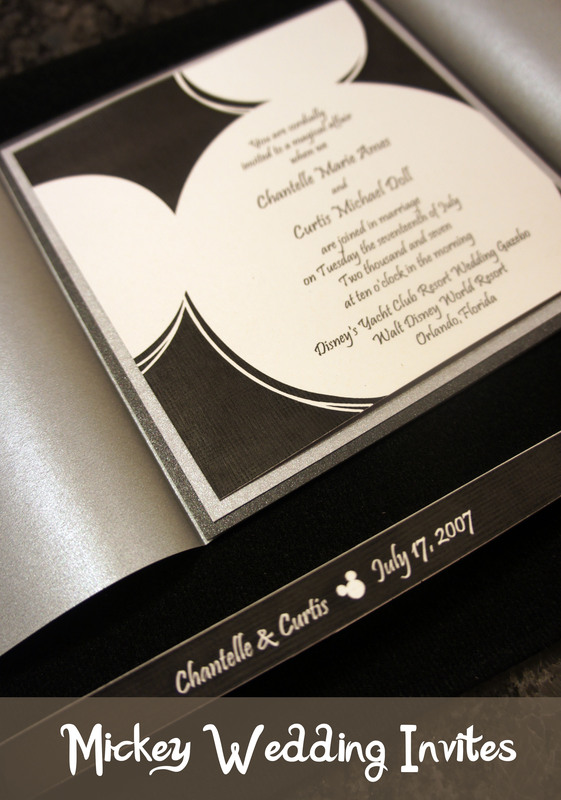 For my invites I wanted something clean and modern. 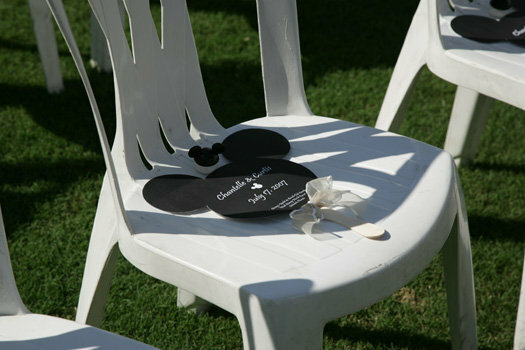 I wanted it to say Disney without looking kiddy or cartoonish so I ended up settling on this subtle mouse ear graphic. Luckily I only had a dozen or so invites to make, so I printed, cut and assembled all the different elements all on my own. Because it was a destination wedding and we sent the invites so far ahead of time, I also included save-the-date fridge magnets with our wedding website address. 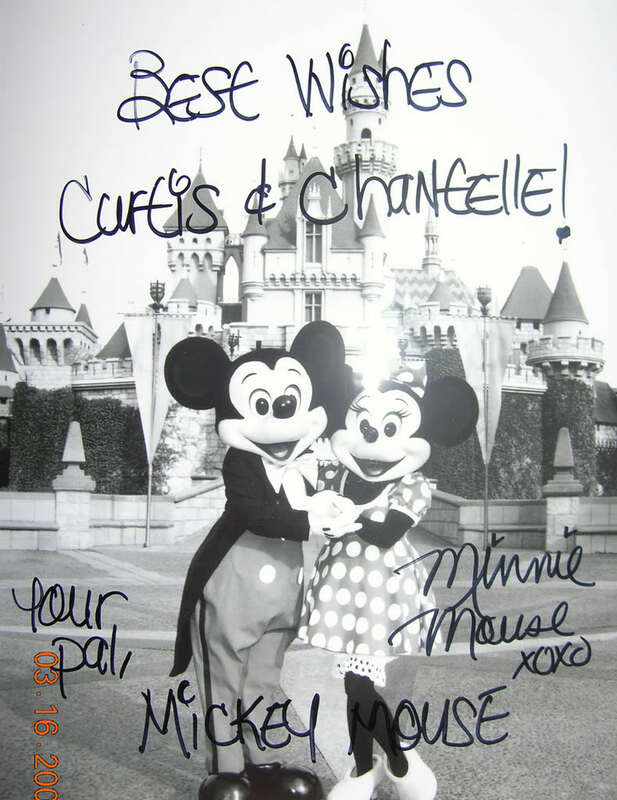 And I just made the happy discovery today that July 17 is also the anniversary date of Disneyland opening which makes our anniversary date all that much more magical. We were married in the year where every other couple seemed to be getting married on 07/07/07, so our date always seemed a little dull. Happy 59th Anniversary Disneyland! Thankfully our wedding was planned long before the days of Pinterest, and before I became really interested in party planning. I know if I was planning today I would be making a lot more work for myself via DIY projects. It was truly an amazing day and looking back there are very few things I would change about our special day. 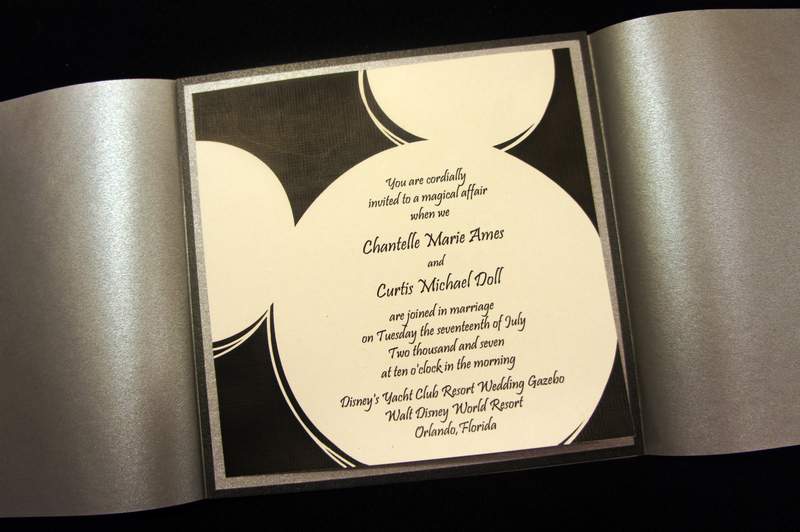 One other fun element I did work on for the wedding was the program fans. 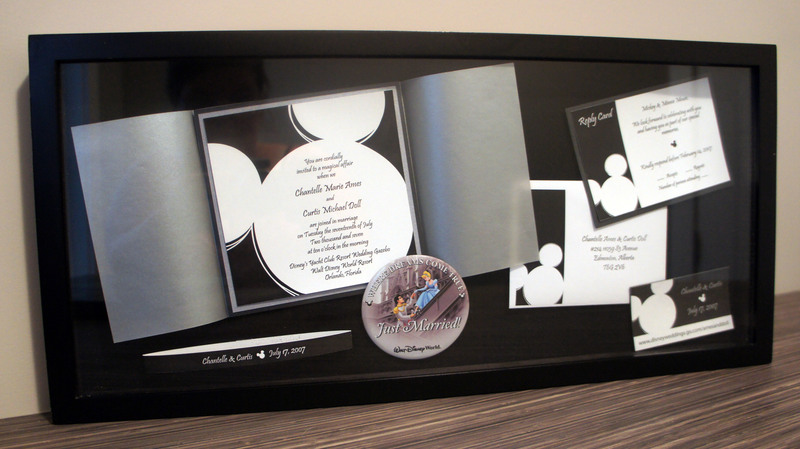 It was a pain to hand cut all the Mickey silhouettes, but I loved the way they turned out in the end. Thank you to my wonderful husband who continues to work hard to make all our dreams come true. 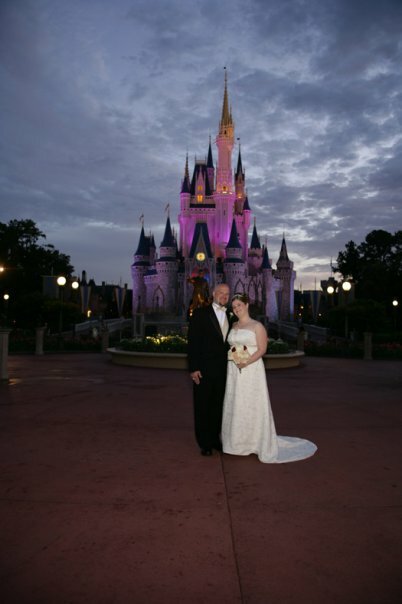 I love looking back at our wedding and trip photos and can’t wait to start planning for our 10 year anniversary trip to Disney World in 2017! These were custom designed and printed by myself. My suggestion would be to possibly find a graphic designer or vendor on Etsy to recreate it for you.